The marchers banged on drums and chanted in an attempt to keep the senator awake. “If Chuck won’t let us dream, we won’t let him sleep,” they chanted repeatedly. The protest was organized by Indivisible, a left-wing advocacy group, along with several other groups in New York. The organizers called on Schumer to secure a long-term agreement for the legal status of immigrants brought to the country as children after he voted on a bill to end the government shutdown without any protections. Earlier Tuesday, Schumer pulled back on an offer of $25 billion for President Donald Trump's border wall, as legislators scrambled to push for a deal that would codify DACA protections for over 700,000 illegal immigrants who arrived in the US as children, the Associated Press reported. Schumer had offered the deal to Trump on Friday in exchange for protections for the Dreamers to be included in a government funding bill, in a last ditch effort to keep the government running before the impending shutdown that began over the weekend and ended Monday. “We’re going to have to start on a new basis, and the wall offer’s off the table,” Schumer said, the AP reported. Trump responded to Schumer's decision to backtrack on Tuesday, and took to Twitter to lampoon the top Senate Democrat, while appearing to also offer an ultimatum for a potential deal. Varying reports said there were anywhere from 75 to more than a 100 protesters at the event. 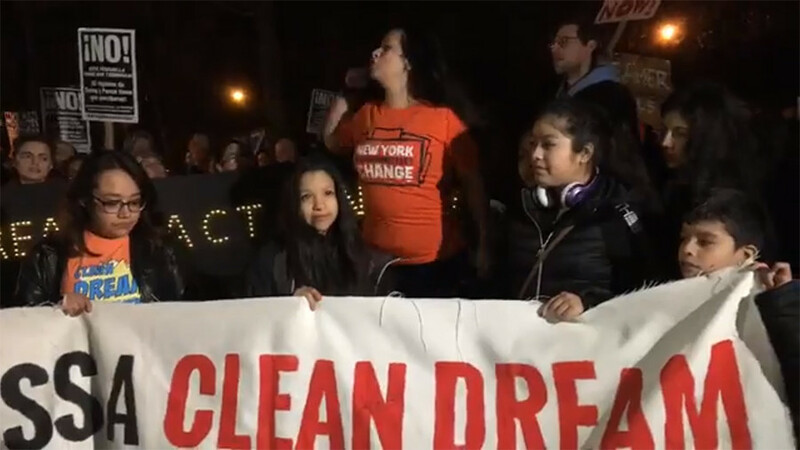 Over 100 people are in front of @SenSchumer’s house demanding a clean #DreamActNow. 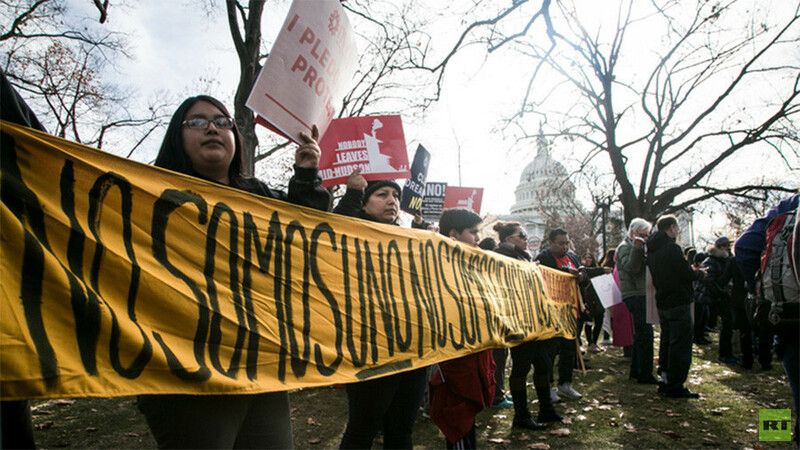 Dreamers are already losing their status & we can’t wait for the GOP to keep a promise. The protesters targeted Schumer for the deal and carried signs that said he was the “worst negotiator in Washington and Brooklyn,” along with the hashtag #SchumerSellout. 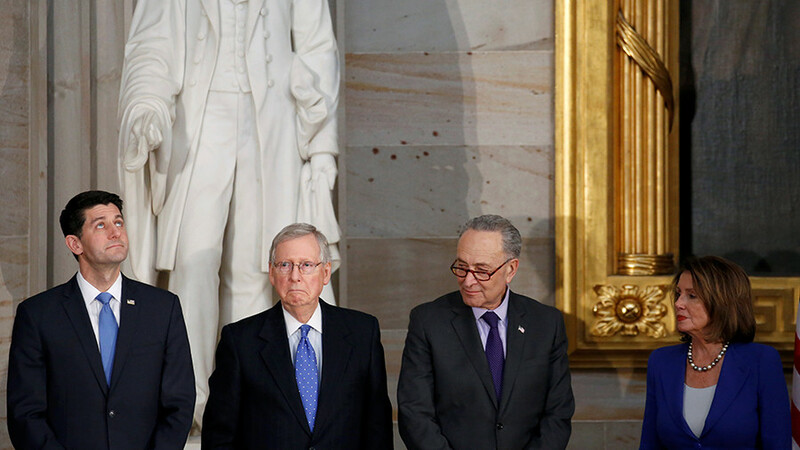 On Monday, Democrats made a deal with Republicans to fund the government through to February 8. However, many liberals were upset that the deal did not include amnesty for migrants brought into the US illegally as children. 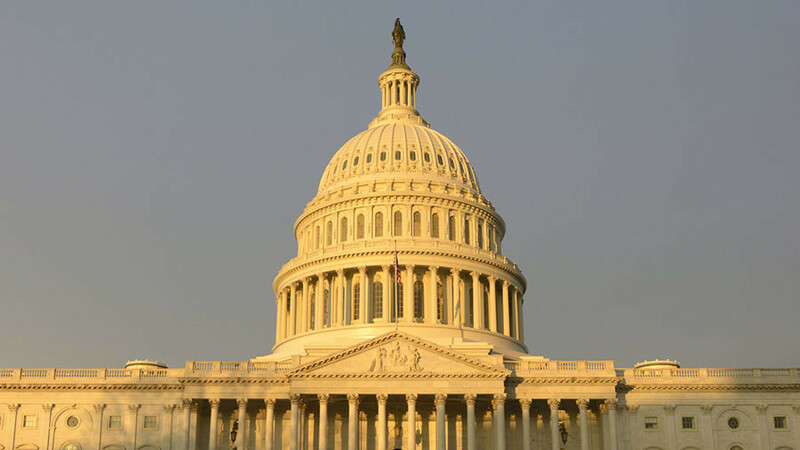 “In abdicating their responsibility to oversee an executive branch that is advancing white supremacy, Republican leadership should not be trusted, but forcefully opposed,” the group wrote. A large group of protesters also took over Schumer’s office on Tuesday, chainting “fight back” in the halls. Other protesters gathered at the offices of Senators Dean Heller (R-Nevada), Mark Warner (D-Virginia), Marco Rubio (R-Florida), Martin Heinrich (D-New Mexico), and others who voted on the spending bill that did not include protections for Dreamers. We're back in @MartinHeinrich's office because he and other senators failed to deliver on a #DreamActNow. We need you to show leadership senator. According to a press release from one of the groups that organized the protests, at least six protesters were arrested for civil disobedience at Schumer’s office. 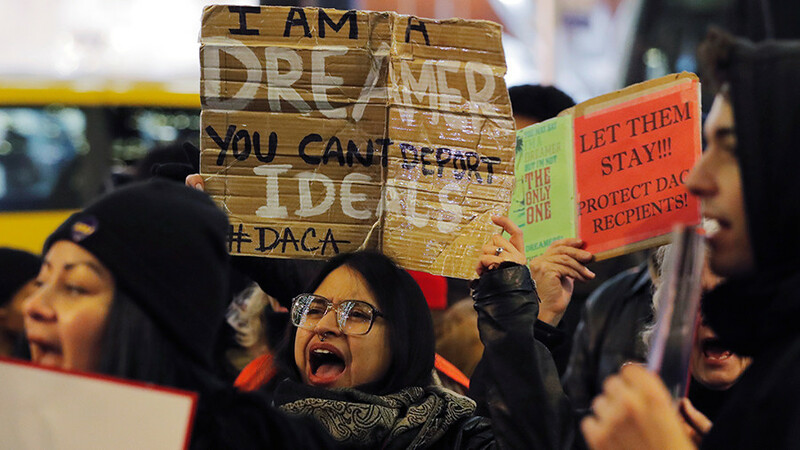 DACA provides protection from deportation to some 700,000 immigrants who were brought into the US illegally as children. 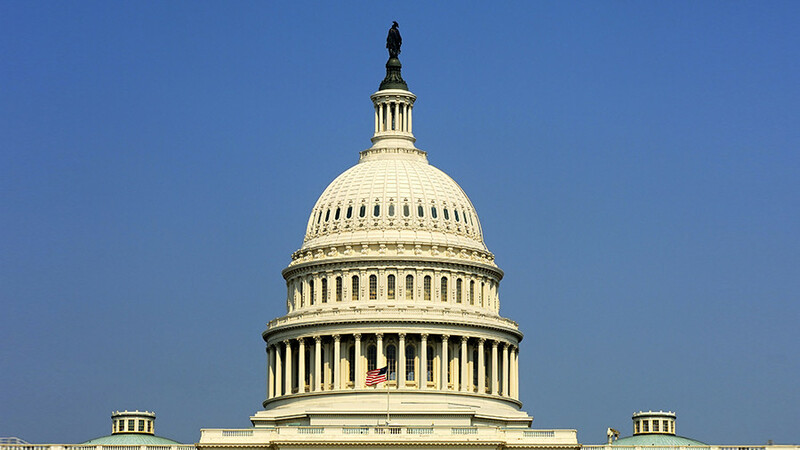 In September, Attorney General Jeff Sessions announced the decision to rescind the program President Barack Obama issued via executive action in 2012. Congress was given six months to pass a law that would regulate the status of so-called ‘Dreamers.’ That program is set to expire March 5.